I see some folks raise issue about the cost but really you are paying for the view and the location. The rooms are fine overall and the experience is worth. All the staff is super friendly. We stayed at a loft room in July. The staff of the front desk is very friendly, and the loft room is commodious and comfortable. Kids loved it very much. The location of the inn is excellent to get close to the ice field so we could take the earliest snow coach and enjoy the peace of the glacier in the morning. How often does one get to view glaciers from her room? Our end unit was perfect in every single way. It was nice to have a choice of coffee, tea, and hot chocolate in the room. The attached restaurant had limited but very tasty selections. The hotel location has best view of the glacier. The restaurant is quite good. Staff was friendly and helpful. Outstanding location, great for a late afternoon hike after the crowds are gone. 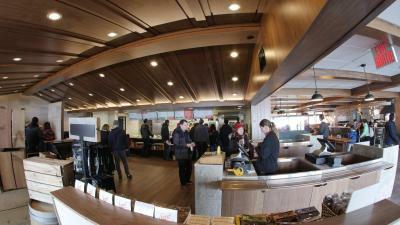 The newly-renovated restaurant decor and food was far better than expected. We loved our room once we were given an odd numbered room with a magnificent view of the Athabaska Glacier. What is to hate when your room windows are facing the mighty Athabasca Glacier? I could have spent my whole night (especially when it's still light outside at 10 pm!) looking at that. In addition, avoiding the crowds in the morning for the first ride on the glacier (only need to wake up at 8, eat breakfast and go downstairs to be one of the first in line) is worth the stay as well. Finally, when outside the hotel, experience the rest of the Columbia Icefield visible from this side (as the real exposure is up there, though) and get ready to be blown away by the majestically snow filled domes and peaks. And if you're still hungry for adventure, go on the old "Atha" and experience the freeze and blueness of the waters and falls on the side of the glacier. Heaven! Glacier View Inn This rating is a reflection of how the property compares to the industry standard when it comes to price, facilities and services available. It's based on a self-evaluation by the property. Use this rating to help choose your stay! 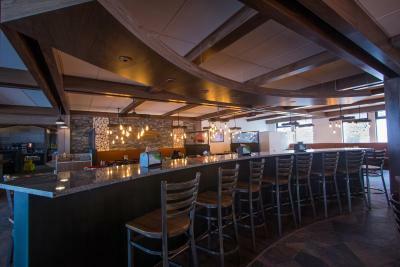 Located along the Icefield Parkway (Highway 93) an 1-hour drive from the Townsite of Jasper, Alberta, this hotel features views of Athabasca Glacier and the Canadian Rockies. Rooms at Glacier View Inn have a comfortable living room with a satellite TV and sofa bed. In addition to a mountain or glacier view, each room has a telephone and clock radio. As part of the Columbia Icefield Center, the Glacier View Inn offers a gift shop and photo shop for souvenirs. 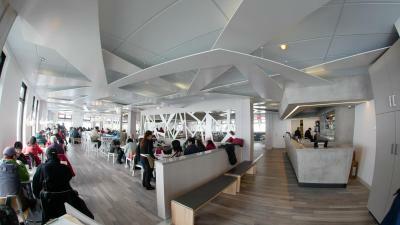 The Columbia Icefield Restaurant includes an all day dining room and lunchtime cafeteria serving salads and hamburgers. Hamber Provincial Park is 20 miles from Glacier View and provides hiking trails or fishing in Lake Fortress. This property also has one of the top-rated locations in Sunwapta! Guests are happier about it compared to other properties in the area. This property is also rated for the best value in Sunwapta! Guests are getting more for their money when compared to other properties in this city. When would you like to stay at Glacier View Inn? Featuring a view of the Canadian Rockies, this room offers a seating area and a flat-screen TV. A private bathroom includes free toiletries. Featuring a stunning view of Athabasca Glacier, this room offers a seating area and a flat-screen TV. A private bathroom includes free toiletries. House Rules Glacier View Inn takes special requests – add in the next step! Glacier View Inn accepts these cards and reserves the right to temporarily hold an amount prior to arrival. Inability to self manage heat. Need a ceiling fan Sink was cracked and really dated! Far from everything. No place to go out. 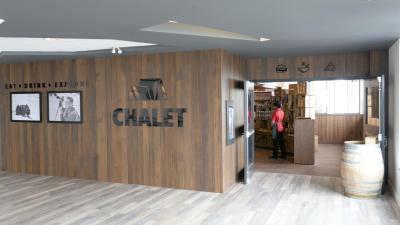 Not much variety in both Chalet and Altitude. Foods were too salty. The front desk and the snow-ploughing staff were very helpful and professional. 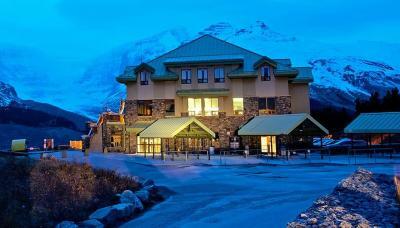 The location is good with great view to the Athabasca Glacier and the room was clean and spacious. We were here for one night. The hotel already seems quite old, and its rooms as well as bathrooms are not that well maintained. The lighting is dull, the tapestry needs to be replaced, and I feared electrocution when handling the water kettle in the room. The electrical sockets are simply dangerous. No microwave nor fridge either, so you have to eat at the restaurant. That restaurant, while serving decent dinners, is quite expensive in relation to the small portions of food you get. Staff there are also young and inexperienced. In all, while this was quite an experience (staying at the foot of a glacier, where there's almost noone around after six pm), but considering price-quality we would never stay here again but rather move on to Jasper which is only 1.5hrs driving away. We had a room with a view on the glacier. Lovely. Easy walk to the foot of the glacier as well. Our room was very large, beds were ok. Check in was quick and easy. Ample parking for hotel guests. On site dinner, which was quite well. Pleasantly surprised when hotel & room exceeded expectations based on reviews. room was overpriced food overpriced no small frig in room no desk front desk didnt answer the phone for questions/needs no workout room!!!!!!!!!!!!!!!!!!!!!!!!!!!! I mistakenly gave very low score about this hotel and it should be at least 8.5 out of 10. 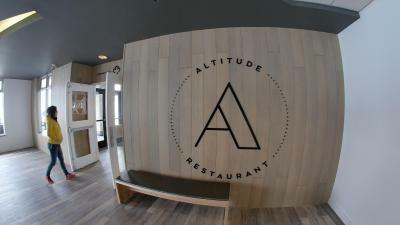 Because it’s in the middle of nowhere, the only restaurant is the restaurant there (Altitude) but it’s really overpriced and the food and the service is poor. I guess that’s what happens when there is no concurrent around. No facility . The shop close too early . . Staffs are very friendly . Room very clean . There was really nothing I did not like. If you are looking for night life it will not be here but a good meal and a comfortable bed. More coffee and creamer in the room would be good. The rooms are dated - although clean. The rate of the hotel doesn't reflect the just "ok" room - the view from our room was fantastic! The restaurant closed at 7 pm!!! In the middle of nowhere ...why isn't it open later for travellers coming in later? The location is the best thing about this hotel!